Upon connecting to any of ScoutLink’s online services, we automatically collect your IP address and, if available, your connection’s resolve host. If using the IRC network, this information is logged against your chosen nickname. Website usage information is collected using cookies and activity logs. We also allow you to voluntarily provide additional information via our registration systems. Some ScoutLink services require registration. All of these services will require you to provide your email address if you choose to register. Most ScoutLink services do not require registration. We collect information in order to enable better security and performance of our services. IP addresses are stored to enable the processing of network-wide bans and the grant of additional privileges where needed. This information is also used for analytical purposes, which may be shared within ScoutLink in anonymised form. We may, if necessary, share any of the information that we collect with the World Organization of the Scout Movement (WOSM) or any of its affiliated organisations, such as National Scout Organizations (NSOs). This information is only shared in the interests of safety and security, such as when processing safeguarding reports. We may also share this information with relevant Internet Service Providers (ISPs) for use in abuse reports. We may also, when necessary or when obliged by law, share this information with law enforcement agencies. This information may be aggregated and/or anonymised or shared in full. Information you voluntarily provide via registration, such as your email address, may be used to contact you with service updates, volunteering opportunities, and network information. You may at any time opt-out of these communications by contacting help@scoutlink.net. You have the right to request a copy of the information that we hold about you. If you would like a copy of some or all of your personal information, please email techteam@scoutlink.net. We may charge a small fee for this service. Users under the age of 13 are not permitted to use ScoutLink’s online services without parental consent. ScoutLink does not knowingly collect sensitive personal data of users under the age of 13 where parental consent has not been given. 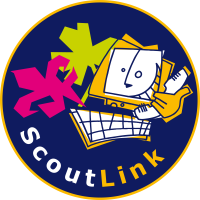 In cases wherein it is discovered that a user under 13 is making use of ScoutLink’s online services without parental consent, their connection to the service will be terminated. If you are under the age of 13 and do not have parental permission to use ScoutLink, do not use this site. Activity in the public areas of ScoutLink’s online services, such as posts in the Discourse forum or lines of text sent to public IRC channels, is regarded as being in the public domain. All users of the online service may record or log this activity. All users must be aware that their public activity is open to scrutiny and collection by third parties and other users as well as ScoutLink network staff for the purposes of logging and reporting. You can set your browser to not accept cookies, and the above websites tell you how to remove cookies from your browser. However in a few cases some of our website features may not function as a result.